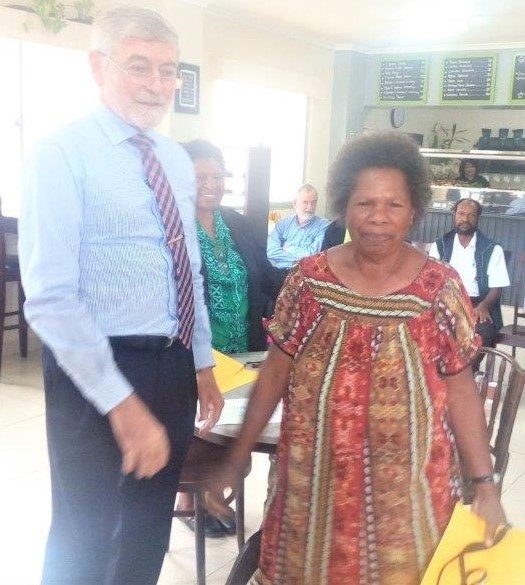 Twenty-three long-serving employees of the health system including the Western Highlands Provincial Health Authority (WHPHA) were recently awarded with certificates of recognition for their long and dedicated service to the organisation. 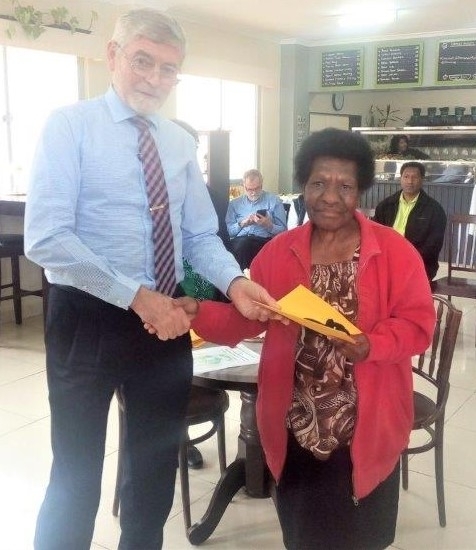 The employees, most of them nurses and community health workers, had spent more than 40 years continuous service in various capacities in the health system and most of them had spent that time working at the Mt Hagen Hospital as well as in the rural facilities. 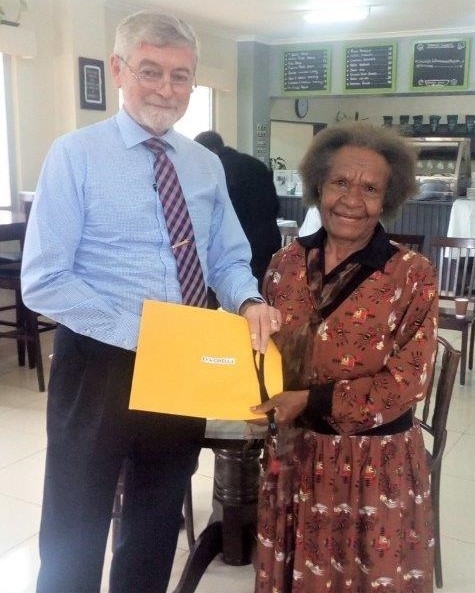 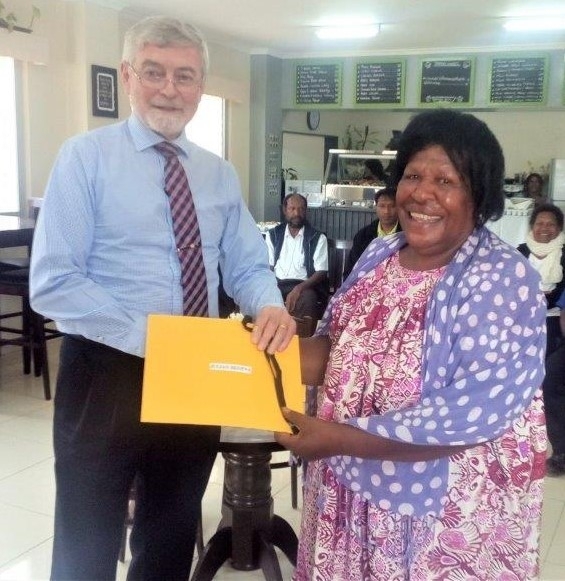 To show how important their services were to the WHPHA, Chairman of the Board of Governance, Mr David Guinn CSM OBE OAM took a day off from his private accounting practice in Port Moresby to fly to Mt Hagen on 6th March, 2019 to congratulate and present them with their certificates of recognition and flash drives. 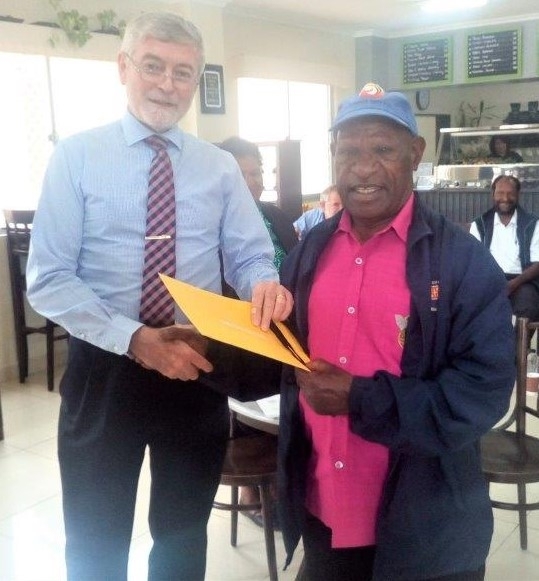 Mr Guinn said about 178 employees had served the WHPHA for more than 25 years but this group had served the longest term of 40-plus years and he congratulated them for their commitment in serving the people of PNG by dedicating their lives to the health service. 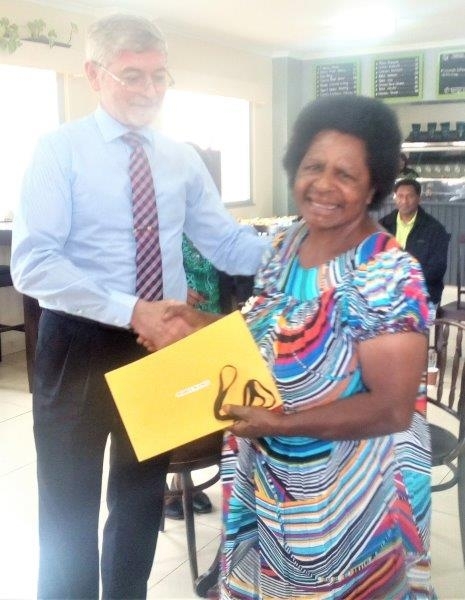 “The Board is pleased to formally acknowledge the number of years you have spent here. 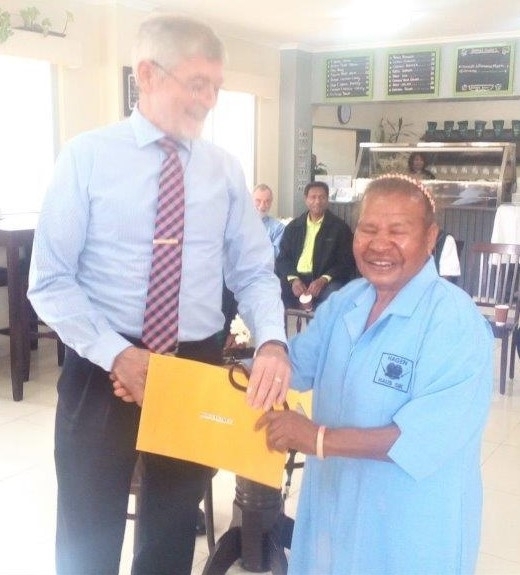 We are on a road that never ends and we need to continue to provide health services to our people”, he said. 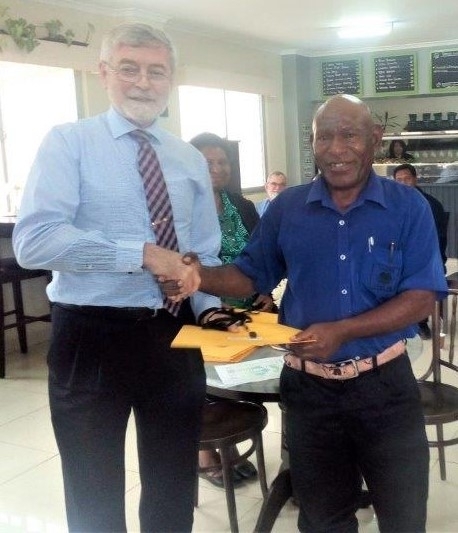 Mr Guinn said 30% of patients who sought treatment at Mt Hagen Hospital were from other provinces where drugs were in short supply or the treatment needed wasn’t available and this was a significant issue faced by WHPHA. 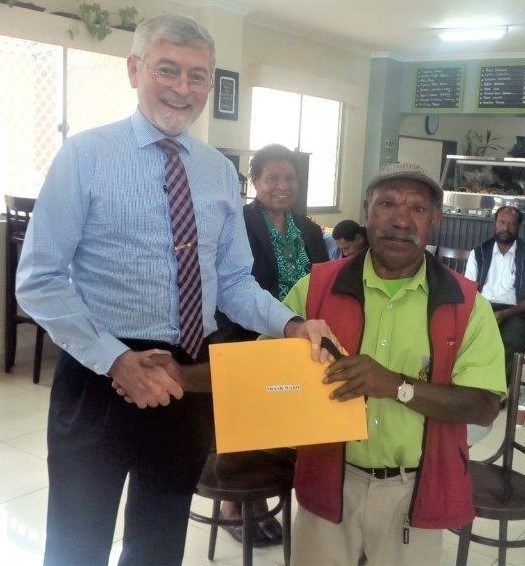 He added that the Health Minister had recognised the efforts of the WHPHA to improve services at Mt Hagen Hospital and other rural health facilities and had undertaken to support it more because the hospital was a regional facility. 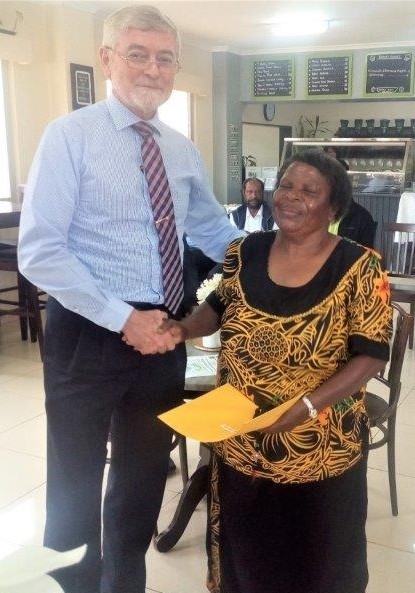 Mr Guinn said he was pleased to see the commitment shown by the staff in their respective areas of responsibility and told the long-serving employees that he appreciated all their services and commitment over the years. 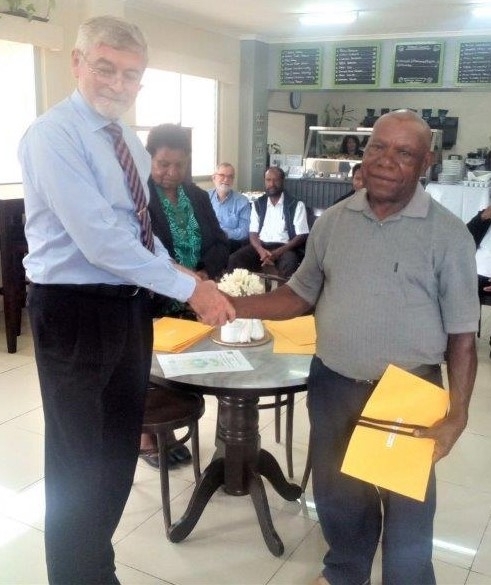 He went on to say the WHPHA had set up one of the best IT (Information Technology) systems for storing and keeping all its database intact and he was pleased that the system was also helping doctors and clinicians to access the internet to further their knowledge on clinical governance and other patient care issues.